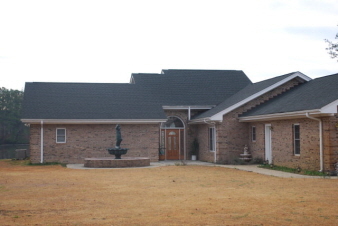 This is a great custom built steel frame home. It was built by the owner with an all brick exterior. There are 3 fireplaces w/ a double sided one in the master suite w/ one side facing the jetted tub in the master bath. This house has a beautiful view of the lake and a pool for great entertaining or comfortable family living. Owner is licensed to sell real estate. Additional Features and Amenities Double attached garage, pull-down stairs for attic access, wood/ceramic/carpet flooring.